There are many styles of kitchen knives and even more sizes for each one—it's no wonder folks have such a hard time figuring out which ones to buy. When you're first starting out, it can be tempting to purchase a knife set and you can certainly get some fine cutlery that way. But will you really use every knife in that set? The truth is, probably not. To help you navigate the world of kitchen cutlery, here's breakdown of the seven major types of knives, what each one is for, and most importantly, whether you actually need it. But first, remember that the one thing everyone does need is to keep their knives sharp. That means having it professionally done at least once a year to keep its edge sharp (or doing it yourself), along with regularly maintaining that edge at home with a honing steel. This is the standard no-kitchen-is-complete-without-it knife. They're available in lengths from 8 inches all the way up to 12. If you're just starting out, 10 inches should be adequate, although there's an argument to be made for getting a 12-inch chef's knife and using an 8- or 10-inch santoku as your primary knife (we'll get to that in a bit). 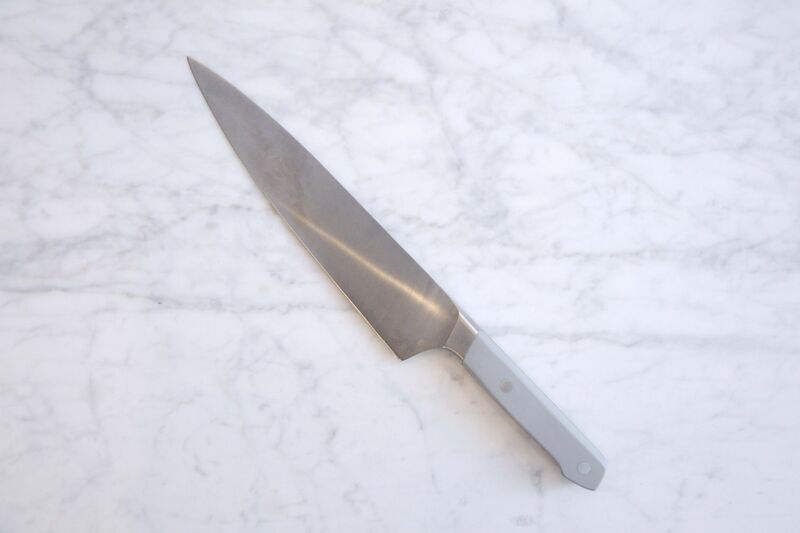 Sometimes called a French knife, a chef's knife features a long, triangular blade with a slight curvature which allows the user to "rock" it back and forth when chopping herbs and also providing leverage toward the wide end of the knife for applying extra pressure. Even if you don't use it every day, a 12-inch blade is what you'll need for slicing open the occasional butternut squash or similarly-sized ingredients. It'll also work for slicing roasts and carving a turkey. Santoku means "three virtues" in Japanese, which refers to the fact that it's good for slicing, chopping, and mincing. Available in 5 to 8 inches, the santoku has a thinner edge than a chef's knife and allows for more precision work. If you get an 8-inch santoku, you're going to use it for 90 percent of what you do in the kitchen, like chopping vegetables, slicing cooked meats, even taking apart a chicken. Make sure to get one that fits your hand. Santoku knives lack a bolster (the heavy knob of steel at the base of the blade of a chef's knife) and its uncurved cutting edge doesn't lend itself to the "rocking" motion of a French knife. Still, how often do you chop herbs relative to every other culinary task in your kitchen? You may also want to buy two—one with a standard edge and one with scalloped granton edges that helps prevent sliced foods from sticking to the blade. 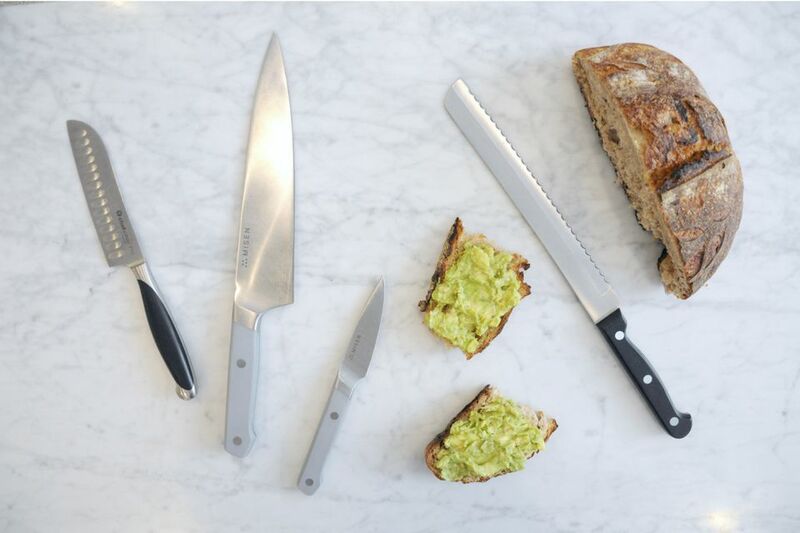 A serrated knife will get you through any task involving the slicing of bread, but there are other uses for it, too. For example, it's helpful for slicing holiday roasts and carving turkey. The serrated blade also allows you to easily slice items with tough skins like tomatoes without demolishing them. With this one, the longer the blade, the more useful it will be, so get yourself one that's at least 14 inches. They also come in handy for leveling and splitting a cake. A paring knife isn't strictly necessary as there's really no task it can do that your santoku can't. But for extremely fine peeling or for cutting tiny wedges of citrus peel for cocktails, a paring knife will come in handy, and they're inexpensive enough to go into the "why not" category. There are serrated and scalloped versions of this as well, as well as different tips. And that's it for the knives you need. Next, the ones you don't. A boning knife is one with a thin, flexible blade designed to separate large muscles from their accompanying bones. It's usually on the equipment list for culinary students, but something that almost nobody needs. Unless you regularly bone out, for instance, a full leg of lamb (with the key word being "regularly"), you should save your money. Even if you're planning just once to bone out a leg of lamb, there's still no reason to get a boning knife since there's no way you'll learn how to use it properly in one try and it won't matter what knife you use. There's a similar knife called a fillet knife, with a thinner blade designed for fish rather than meat, that also falls into this category. This, quite simply, is a fake knife. There is no such thing as a utility knife! It's a fictional knife created solely for the purpose of taking up a slot in the sets in kitchen stores. You know, the kind that came with a massive wooden block that sat on your counter with little slots for the knives to fit into. This awkwardly-sized knife is too big to do the job of a paring knife and too small for anything else. The only "utility" it offers is if someone else is using your santoku knife. For occasions where you have more than one chopper in your kitchen, you'd be better off getting an extra santoku and skipping this knife altogether. This is a massive hunk of knife designed for heavy tasks like chopping through chicken bones. The principle behind it is that its immense weight helps supply the tremendous force needed to chop through chicken bones and other heavy-duty tasks. Like the boning knife, if you need this knife, you already have it and know all about it. Otherwise, skip it!